NEWARK, Del. 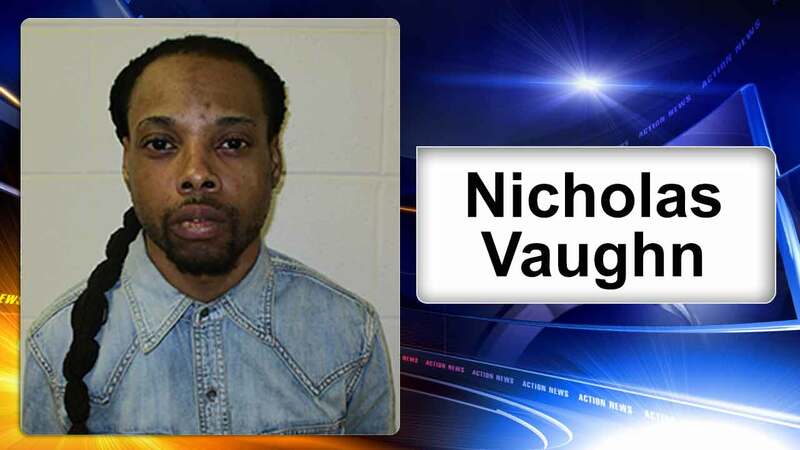 -- Police arrested an alleged Newark, Delaware, serial bank robbery suspect in Maryland Friday. He later was identified as Nicholas Vaughn. It happened around 5:39 p.m. at the WSFS Bank located at 201 Suburban Drive. Officers responded after a call from a bank employee saying a suspect matching the description of a serial bank robber was in the bank. The employee called police before the robbery occurred. However, the suspect eventually approached a 30-year-old female teller and demanded money, police say. The teller turned over an unknown amount of money and the suspect fled. When police arrived, they saw the suspect, wearing glasses with his hood up, entering a black Nissan Altima with the license plate obstructed. Officers recognized the suspect as matching the description of a suspect in three other recent bank robberies in Newark. The suspect was ordered to stop, but kept going in the vehicle. A pursuit began on southbound Elkton Road. But police stopped the chase in the area of Interchange Boulevard because of the suspect's erratic driving. A description of the suspect was provided to the Maryland State Police. A short time later at a truck stop, Maryland officers confirmed the identity of the suspect, Nicholas Vaughn, was the same person who fled the bank.